NAIROBI: Kenya seeks to tap the $3.6 trillion (Sh360 trillion) global halal industry and position itself as the hub of the growing sector in the region. 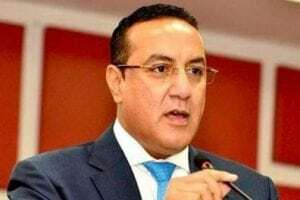 Najib Balala said the country should not be left behind from the industry that produces goods and services that target more than 1.6 billion Muslims across the globe. The industry includes food processing, pharmaceuticals, financial services, clothing, tourism and cosmetics that are in line with Islamic principles. “We seek to position Kenya as the hub of halal industry in the region by producing more halal-certified goods and services to serve a growing local and global market,” he said during the expo at the Kenyatta International Convention Centre (KICC). Mr Balala cited Australia and New Zealand, which are making billions of dollars every year exporting halal-certified meat to the Middle-East. He said non-Muslim-majority countries such as India, United Kingdom, Spain, Japan and Croatia are in stiff competition to have the biggest share of the lucrative global halal tourism sector. The CS said Kenya is also seeking a piece of the halal tourism market, the fastest growing niche market in the global tourism sector, projected to reach $230 billion (Sh23 trillion) by 2030. “Halal tourism offers the industry access to a young, increasingly moneyed, travel-hungry and globalised demography. We need services and facilities that meet the needs of this group,” he said. Mr Balala said hotels and the larger tourism sector in the country requires sensitisation about the needs of the halal travellers, including food processing and family-friendly environments so as to benefit from the sector. Islamic finance specialist Sheikh Badru Jafar said appropriate regulations and standards should be developed and implemented to stimulate the growth of the halal industry in Kenya for the local and export market. “But the halal industry is not just about products or services, but also universal ethical values such as honesty and integrity that should be nurtured to accompany trade,” he said. Eugene Jurnigan, an analyst from Green Action for Trade and Sustainable Development said the halal industry is an untapped market that offers significant opportunities for investors locally and globally.